Examination of Fishman’s qualitative interview results revealed that relationships were sometimes compromised by the changes in roles that resulted from the men’s absence. Women often became the major decision maker and head of the household, although some women tried to mitigate these changes by saving decisions for discussion during prison visits (Fishman, 1990). To counter changes in traditional gender roles, imprisoned men may seek unhealthy ways to assert their power, including entangling their partner in criminal activities by demanding that they bring in contraband or that they step into their former role in the drug trade. Men also may use dominance and threats to control women. 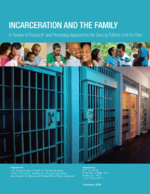 Harassment and even violence have been reported during prison visits as men worry about losing their roles as husband and father in the family (Fishman, 1990; Nurse, 2002).